Aviation Updates Philippines - The Philippines' leading low-cost carrier, Cebu Pacific Air is introducing direct flights between Manila and Guam to serve more Filipinos and tourists going to and from the two key cities. GUAM FLIGHTS TO BE LAUNCHED. 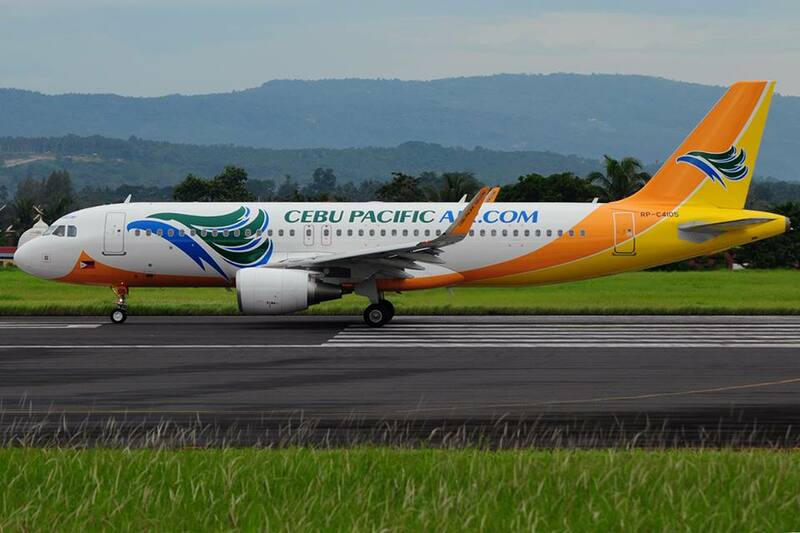 Cebu Pacific announced that it will launch flights to Guam from Manila starting March 15, 2016 using its new Airbus A320-200 aircraft. Photo by Manuel R. Nierra II. Cebu Pacific will be launching its first flight to the United States on March 15, 2016. The service will be operated by a 179-seat Airbus A320-200 aircraft. Cebu Pacific will be the first low-cost carrier to operate the route with 80 percent lower fares. "Having Guam in our network sets us off on another expansion path across the Pacific. With the launch of Guam, we offer fares that are up to 83 percent lower than other airlines. Fares this low can only mean more tourists to both countries, more Filipinos visiting home, and more opportunities for everyone," Cebu Pacific President and Chief Executive Officer Lance Gokongwei said. According to data, the Manila to Guam route is underserved with only 5,900 weekly seats available. With the entrance of Cebu Pacific in the Guam market, it will add 1,440 more weekly seats that will greatly boost connections between the Philippines and Guam. Cebu Pacific Flight 5J 101 will depart Manila at 3:45 AM and arrive Guam at 10:15 AM. The return flight, 5J 102 will depart Guam at 12:30 PM and arrive Manila at 2:55 PM. Flights will operate four times per week every Tuesday, Thursday, Saturday and Sunday. "CEB kicked off the Guam route announcement with P2,500 all-in seats, available until November 29, 2015 or until seats last. These are for travel from March 15 to November 30, 2016." "After the seat sale, CEB fares to Guam start from P7,197, which is still up to 40% lower compared to other airlines," the airline added. Cebu Pacific's network now spans 64 destinations on 98 routes, including its newly launched flights to Sydney, Doha, Beijing, Tokyo, Bali and Dubai.